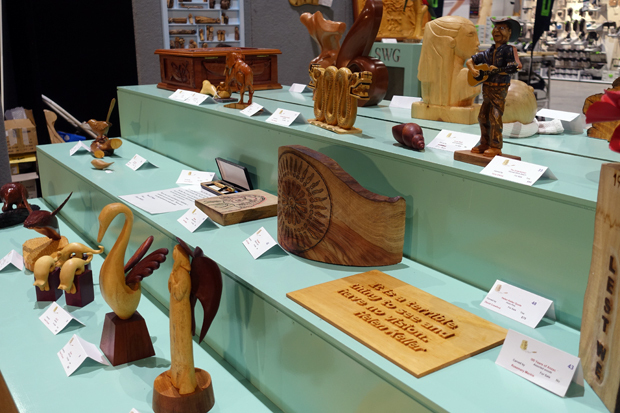 Kevin Gillis’s King Parrots carved from jacaranda and jelutong stand before ‘Australian Bird Collection’, a wall-mounted relief carving in Huon pine made by three members of the Sydney Woodcarving Group for a raffle a few years ago. 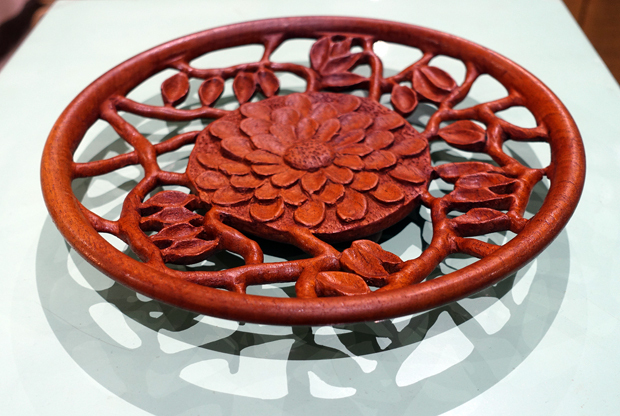 Red cedar platter, John Unwin. 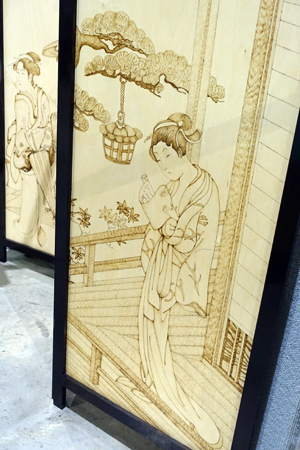 Screen with pyrography by Neville Pike and Alyssa Willstrop. 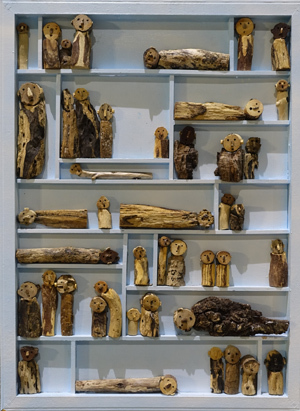 Graeme Sobels, Collage, carved from driftwood. Terry Elkins, Mates, painted white beech. David Crawford, Naked Lady, mahogany. 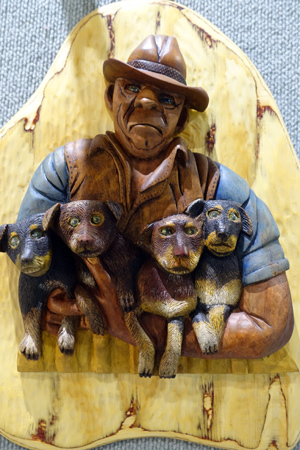 It’s part of the annual tradition of the Sydney Woodcarving Group to mount a display at the Timber & Working With Wood. This year was no exception as you can see from the samples shown in the photos below. The group has four meeting places: Chester Hill, Epping, Southside and Shellharbour and novices through to experts are encouraged to join and get together for events and information sharing. Above left: Screen with pyrography by Neville Pike and Alyssa Willstrop. Right: Graeme Sobels, Collage, carved from driftwood.